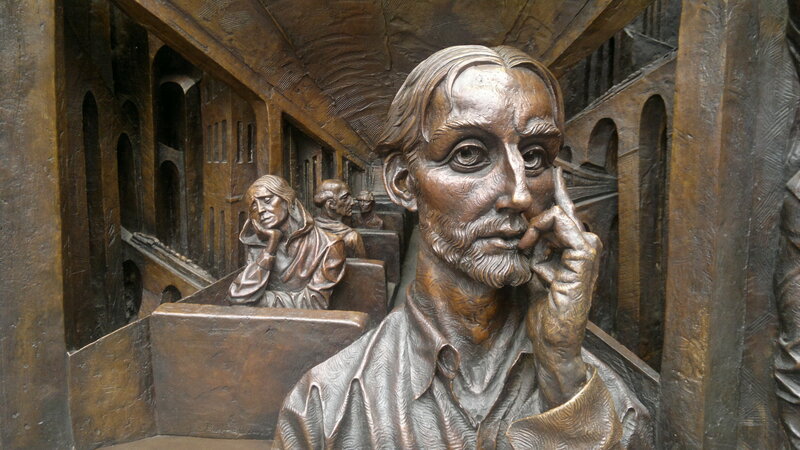 ‘The Meeting Place’ a sculpture by Paul Day. 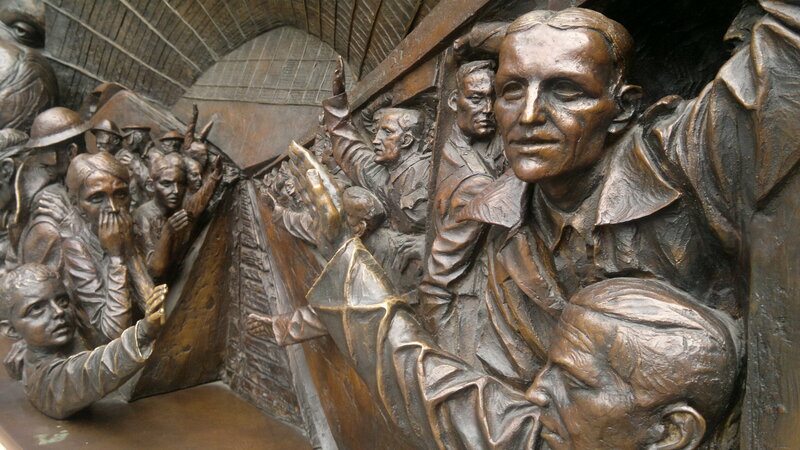 Photo by Don Mullan. 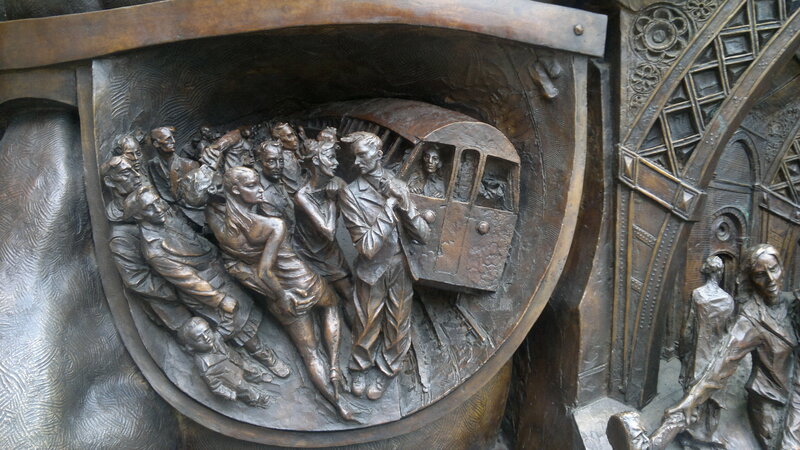 When speaking with Don Mullan about his photo essay in this Issue, ‘Peace Line’ Wall Murals for a Fugitive Slave’, he mentioned a monument I had seen in St Pancras Station, London. 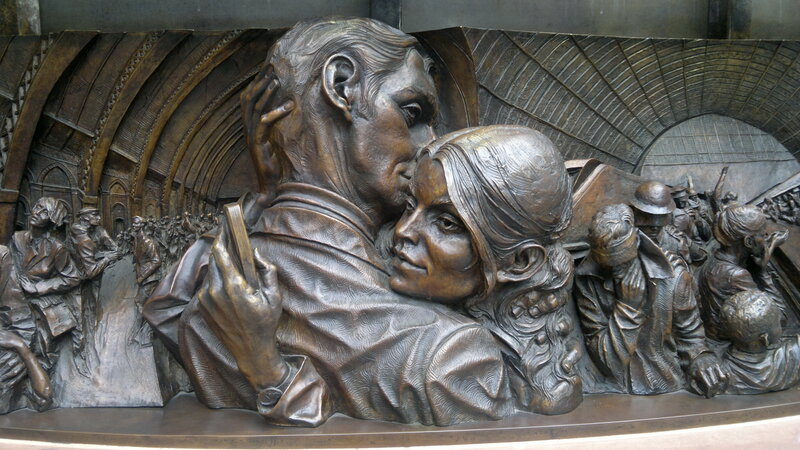 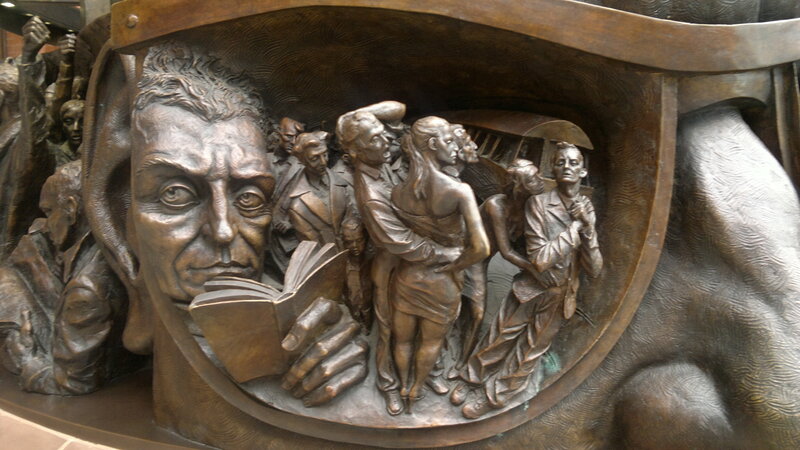 ‘The Meeting Place’, a nine metre high bronze by British sculptor Paul Day. 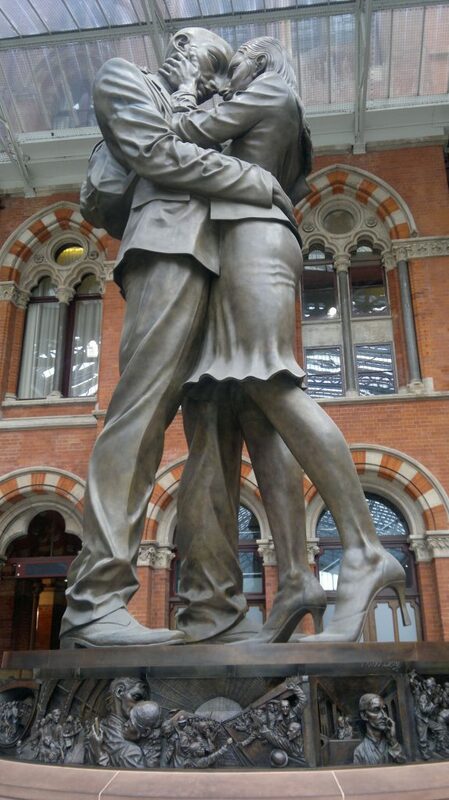 It is of a couple embracing underneath the St Pancras clock in the great arched railway station ‘shed’. 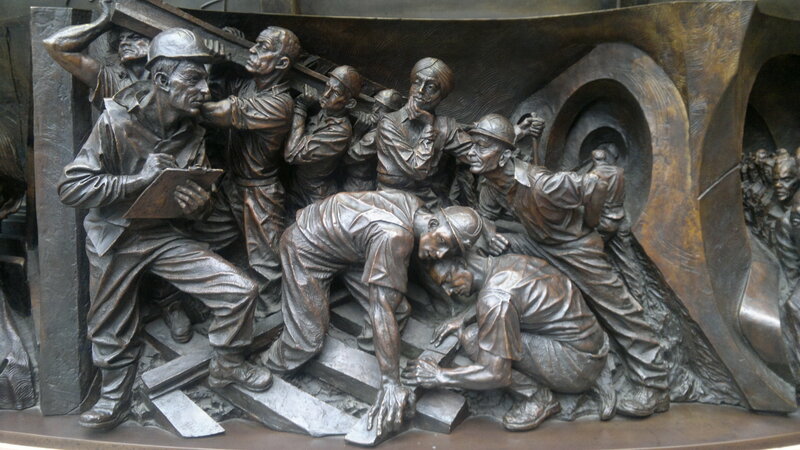 Around its base is a sculptured frieze of quite striking composition. 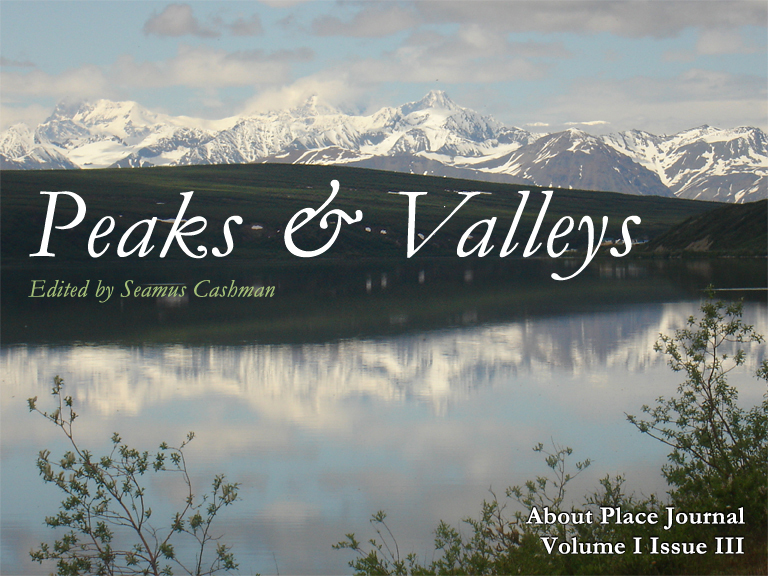 On reviewing the images, of embrace, of greetings, and particularly of partings, it was evident that a selection would make an apt closing essay for this Peaks & Valleys Issue of About Place Journal.